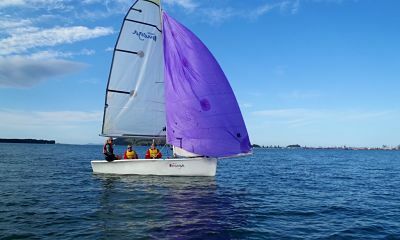 There is good reason that Auckland’s nickname is the City of Sails. Located on the eastern shore of the North Island, this harbor city is close to excellent rivers, lakes, and bays. Whether a sailor or kayaker, there are great waters to be found here, and warm weather during chilly winter months in the northern hemisphere. The access to boating here is almost unmatched. Whether you want to check out the east coast, the west coast, circle the island, head down to the South Island, or participate in some of the international sailing races that occur from here, there are almost endless boating opportunities. Over fifty marinas exist within an hour of Auckland, and much of the remaining land is in marine park status. These offer beautiful beaches, which vary from rocky active volcanic lava and obsidian to white sand and world-class surfing to quiet bird-filled estuaries replete with endangered wildlife. The combination of a large world capital and access to the unspoiled wild lands is definitely worth the trip. 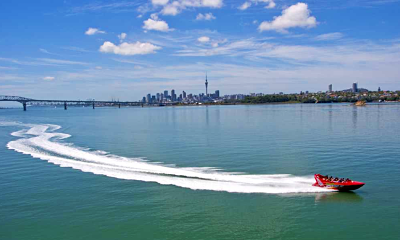 Take a look at some of the top boating sites in Auckland. 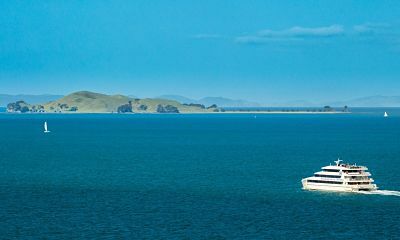 Crystalline blue waters, playful dolphins, America’s Cup racing yachts, and luxury dinner cruises are just a few of the offerings of north-opening Hauraki Gulf. It is home to the large marine park of the same name, which contains a staggering one-third of the world’s whale and dolphin species types. Whale watching cruises from here report an 80 percent chance of seeing whales, and a 90 percent chance of seeing some kind of marine mammal. Rare, endangered Bryde’s whales and southern right whales are some of the stars, but there are many species to discover and enjoy here. 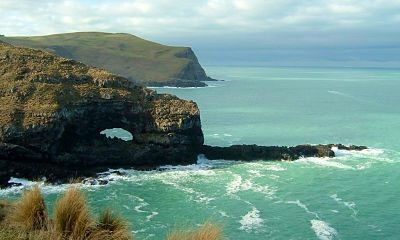 The gulf opens northward into the Pacific, and is one of the most tropical locations in all of New Zealand. The Emerald Islands within offer unspoiled beauty and some on-shore opportunities to visit some of the rarest and most endangered flightless birds. Keep your eyes peeled, as there is even a mystery Emerald Island of legend which, like Xanadu, is known to appear suddenly and disappear before you can get close enough to get a good look. The gulf is sheltered enough to create a great place for long-range kayak excursions. You will find that even the traditional Maori canoes are out in the gulf, enjoying a water tradition that is centuries older than the first European visit to New Zealand. This arm of the Hauraki Gulf is one of the two harbors that border the city of Auckland. It is often referred to as Auckland Harbour. One of the most urban harbors in the country, Waitemata Harbour is a great resource for boater amenities, and a chance to view city skylines and large seaside homes by water. The name comes from the Maori word for “obsidian glass” because of the calm, mirror-like shining water prized by the New Zealand natives. 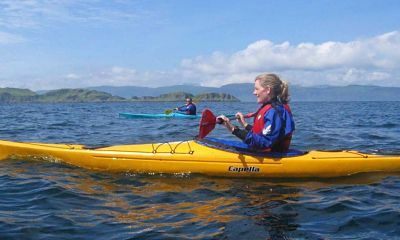 Warm waters, great views, and calm seas make this a great powerboating and kayaking venue. A number of marine coastline reserves along the gulf shores give a number of places to explore. Waiheke Island is the second largest barrier island on the outside of Hauraki Gulf. The island is accessible by ferry, a scenic trip from Auckland. 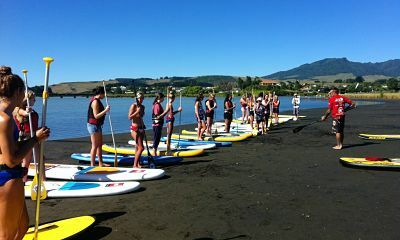 It is well-known for its many beaches, ranging from the main beach in town, Oneroa, to Cactus Bay, which is considered the best of all the beaches but is water-access only. If you are boating here to spend a few days on the island, be sure to save time to visit the wineries. There are more than three dozen here, offering some of the best wine New Zealand has to offer. This island sits about 30 miles north of Auckland, and has a fascinating history. It is best known for its native birds, and is a paradise for anyone who loves birding. It has gone from being occupied mainly by Maori to being owned entirely by the Governor, to becoming the suburban island region that it is today. Again, ferry service is available if you want to boat when you get here (save time for a birdwatching cruise if you do), but the trip through Hauraki Gulf to get here is so spectacular, it is worth going here by boat from Auckland. A must-see for visitors here is Mansion House. Save time after a day of boating to discover it, as there are tours available seven days a week. 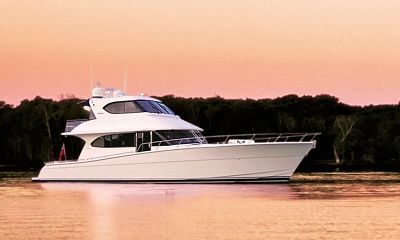 A boating trip to the south of Auckland puts you along the east coast of the island, and offers a chance to see some of the best beaches in the country. Secluded from the westerly weather by the island’s jagged volcanic peaks, this coast offers a number of coastal protected beaches which range from white sand and still water for kayaking and watersports, to coastal estuaries and island refuges for some of the most unique flightless birds left in the country. These refuges are especially common on the islands, where land animals like rats and pigs have been removed to protect the eggs of these ground-nesting birds. The rugged, wind-swept coast of the western half of the North Island is very different but equally beautiful. It is the place to go to find black sand beaches, which are great to visit. If you are a surfer or like wilder seas, this is the coast for you. It also offers a lot of remote coastlines to see by water because of the weather exposure. If you want unspoiled beauty, this is a great way to see it. There is quite a bit to see on the east coast of New Zealand if you head south as well. This carries you down toward the South Island, which is a wonderful trip if you have the time, and offers views of many of the features that were filmed to create much of the scenery in the Lord of the Rings movie adaptations. As you head south, it will get a lot colder, so be prepared for the seasonal conditions here. Christchurch is the last stopping point for flights headed to Antarctica, which is important to remember if you are here in the summer months. If you visit in the winter, however, conditions are similar to an Alaskan summer and a great way to sail among orcas and penguins as you marvel at the mountains of Middle Earth. If you are very experienced, you can attempt the trans-oceanic race that leaves from Auckland and ends in Musket Cove, Fiji. This is an event for serious sail racers, as the seas are strong and it requires some speed to stay in contention. This is a well-covered, sponsored event, and several gear manufacturers will equip the boats with state-of-the-art satellite tracking just for the opportunity to be a sponsor. There is no need to be an expert sail racer to watch the race, though, and bringing a boat out to watch these sailors in action on the water can be very exciting. The race takes place each year in June. There is so much water around Auckland that you can hardly go wrong, no matter what direction you choose when boating here. Whether you sail, kayak, powerboat, or prefer the option of a guided cruise, Auckland offers dozens of choices of departure locations, and infinitely more destinations. Best of all, a winter vacation to Auckland offers serious boaters who live in northern climes the chance to boat for more of the year. It is not yet as popular as Hawaii or the Caribbean, so you get a break from crowds, and the water here is as extraordinary as this volcanic land.